CPU Type: SL442. Pulled from a working system and tested good. Actual picture of product. Spec Number SL53L. Sockets (Socket) Socket 495 micro. Cache Size 256 KB. Processor Frequency (Clock Speed) 850 MHz. General Information / Basic Information. (Similar) Part Numbers. The processors wereextensively and professionally for function and performance tested. SOCKET: PGA2. L2 CACHE SIZE (KB): 256. FREQUENCY(MHz): 850. BUS SPEED (MHz): 100. SocketSocket 495. Processor CoreCoppermine. Deep Sleep Modey. Enhanced HALT Modey. Quick Starty. Sleep Modey. Stop Grant Statey. Core SteppingPA2. Spec Number SL53C. Sockets (Socket) Socket 495 micro. Laptop parts. Cache Size 128 KB. Processor Frequency (Clock Speed) 750 MHz. General Information / Basic Information. (Similar) Part Numbers. The processors wereextensively and professionally for function and performance tested. Spec Number SL3DW. CPU heat sinks / coolers. Cache Size 256 KB. Sockets (Socket) Socket 495 micro. Processor Frequency (Clock Speed) 500 MHz. General Information / Basic Information. (Similar) Part Numbers. Intel Pentium III Processor 800 MHz / 256 KB / 100 MHz SL4GT Socket / Socket 495 notebook. Intel Pentium III Processor 800 MHz / 256 KB / 100 MHz SL4GT Socket / Socket 495 notebook. 00MHz SL43U Base/Socket 495 Laptop CPU. Spec Number SL442. Sockets (Socket) Socket 495 micro. Processor Frequency (Clock Speed) 650 MHz. Bus Speed ​​(FSB speed) 100 MHz. Cache Size 256 KB. General Information / Basic Information. (Similar) Part Numbers. Type CPU / Microprocessor. Case temperature (°C) 100. Helpful Links. There are only 4 MARs in the United Kingdom. Item has been pulled from salvage machine so expect the item to be in a used condition with minor scuffs etc. Spec Number SL4JW. CPU heat sinks / coolers. Sockets (Socket) Socket 495 micro. Laptop parts. Cache Size 128 KB. Processor Frequency (Clock Speed) 650 MHz. General Information / Basic Information. (Similar) Part Numbers. ASUS Socket 775 Motherboard P5KPL-AM SE REV. 2.01G. AOpen Socket 478 MicroATX Motherboard MX46-533V. ISA 386 Upgrade Card 835-0019-1/A PV38620. Job Lot of 50 x 80GB 3.5" IDE Hard Drives. Kyocera FS-3040MFP Multifunction Laser Printer 90% Toner FS-3040MFP . Intel Pentium III Processor 750 MHz / 256 KB / 100 MHz SL 4K2 socket / socket 495 Laptop. Intel Pentium III Processor 750 MHz / 256 KB / 100 MHz SL 4K2 socket / socket 495 laptops. 00MHz SL3LG Base/Socket PPGA495 CPU. Intel Pentium III Processor 650 MHz / 256 KB / 100 MHz SL4JY socket / socket PPGA 495 CPU. Intel Pentium III Processor 650 MHz / 256 KB / 100 MHz SL4JY socket / socket PPGA 495 CPU. 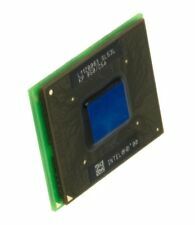 Intel Celeron Processor 600 MHz / 128 KB / 100 MHz SL4AP Socket / Socket 495 notebook CPU. 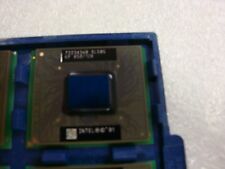 Intel Celeron Processor 600 MHz / 128 KB / 100 MHz SL4AP Socket / Socket 495 notebook CPU. 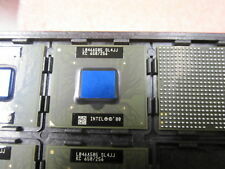 Intel Celeron Processor 750 MHz / 128 KB / 100 MHz SL53C Socket / Socket 495 notebook CPU. 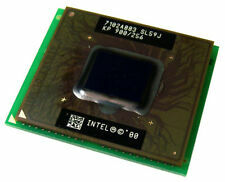 Intel Celeron Processor 750 MHz / 128 KB / 100 MHz SL53C Socket / Socket 495 notebook CPU. Intel Pentium III Processor 700 MHz / 256 KB / 100 MHz SL4JZ Socket / Socket 495 notebook. Intel Pentium III Processor 700 MHz / 256 KB / 100 MHz SL4JZ Socket / Socket 495 notebook. Spec Number SL4GT. Sockets (Socket) Socket 495 micro. Laptop parts. Cache Size 256 KB. Processor Frequency (Clock Speed) 800 MHz. General Information / Basic Information. (Similar) Part Numbers. The processors wereextensively and professionally for function and performance tested. Intel Pentium III Processor 650 MHz / 256 KB / 100 MHz SL 442 Socket / Socket 495 notebook. Intel Pentium III Processor 650 MHz / 256 KB / 100 MHz SL 442 Socket / Socket 495 notebook. Spec Number SL4AG. Sockets (Socket) Socket 495 micro. Laptop parts. Cache Size 256 KB. Processor Frequency (Clock Speed) 850 MHz. General Information / Basic Information. (Similar) Part Numbers. The processors wereextensively and professionally for function and performance tested. Spec Number SL4AP. Sockets (Socket) Socket 495 micro. Processor Frequency (Clock Speed) 600 MHz. Laptop parts. Bus Speed ​​(FSB speed) 100 MHz. Cache Size 128 KB. General Information / Basic Information. Intel Pentium III Processor 650 MHz / 256 KB / 100 MHz SL3PL Socket / Socket 495 notebook. Intel Pentium III Processor 650 MHz / 256 KB / 100 MHz SL3PL Socket / Socket 495 notebook. 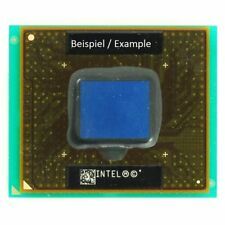 Intel Pentium III Processor 450 MHz / 256 KB / 100 MHz SL3LG socket / socket PPGA 495 CPU. 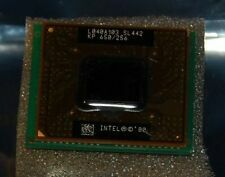 Intel Pentium III Processor 450 MHz / 256 KB / 100 MHz SL3LG socket / socket PPGA 495 CPU. Intel Pentium III Processor 600 MHz / 256 KB / 100 MHz SL 443 Socket / Socket 495 notebook. Intel Pentium III Processor 600 MHz / 256 KB / 100 MHz SL 443 Socket / Socket 495 notebook. Intel Celeron Mobile CPU 450 MHz / 128 KB / 100 MHz SL3PF Socket / Socket 495 Coppermine. Intel Celeron Mobile CPU 650 MHz / 128 KB / 100 MHz SL3PF Socket / Socket 495 Coppermine. Intel Pentium III Processor 500 MHz / 256 KB / 100 MHz SL3DW socket / socket PPGA 495 CPU. Intel Pentium III Processor 500 MHz / 256 KB / 100 MHz SL3DW socket / socket PPGA 495 CPU. CPU heat sinks / coolers. Sockets (Socket) Socket 495. Laptop parts. Cache Size L1: 32 KB / L2: 128 KB. • CPU without any accessories. Processor Frequency (Clock Speed) 650 MHz. General Information / Basic Information.